The Durbanville Wine Valley is often overlooked against its older brothers in Stellenbosch and the Constantia winelands, but it's the one place in the Northern Suburbs you can almost always enjoy a view of the Mother City's Table Mountain while wine tasting, picnicking and exploring the lush outdoors. 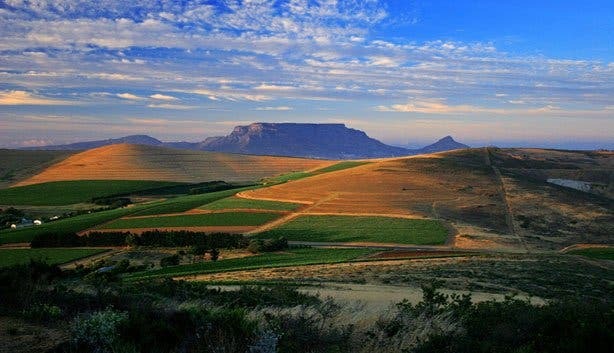 Home to happy clay soils, pristine views and brisk Atlantic Ocean breezes, the area produces marvellous Chardonnay, Cabernet and Merlot varieties as well as an offering of great things to do – including events and a fine day's wining, dining and sightseeing for the whole family. And it's easy to find. All you need is one road – The N1 - and twenty minutes. From the city centre to the heart of one of the youngest, most vibrant wine farm areas on the Cape Peninsula, it’s a day trip with a difference. Discovering the Durbanville winelands is a bit like popping the cork of a favourite wine –the experience is dependable, delightful and promises a few surprises. From hill top picnics to kiddies catering, from award winning wines to vintage farm houses, from documented terroir to Table Mountain view, its hills and dales have much to discover. Follow our suggested route from De Grendel to Meerendal for a breakdown of the spaces and places to enjoy Northern Suburbs wine hospitality. Remember that some venues are only open to the public for limited times over the weekends. Off the M14 (which leads down to the beach, eventually), the quickest city break is the prestigious De Grendel Estate (Plattekloof Road). Definitively eco-conscious and insistent on quality, there's a touch of timelessness and authenticity in its daily activities, from wine making to breeding of award-winning livestock. See the Table Mountain from the tasting room and visit during one of its many annual activities. With a an armful of awards over time, Durbanville Hills Winery (Durbanville Road) uses its neighbours grapes from surrounding historic farms to bring you fruit flavours with finesse, wines of depth, and of unique character under cellar master, martin Moore. Practising ubuntu in abundance, The Durbanville Hills Share Purchase Trust offers select employees a financial share in the harvest and profit. Nestled high up in the hills, Hillcrest Estate (Tygerberg Hills) offers a flagship blend from a strongly aromatic clone of sauvignon. It also offers a beautiful quarry that you and the little ones can fish in and picnic next to. The informal Hillcrest Restaurant mixes Mediterranean and South African cuisine and co-owner, Gerhard du Toit's focuses on award winning olive growing and oil production. Nitida Cellars (Durbanville Road) has eight employees under owners Bernhard and Peta Veller including long-term devotees Klaas, Moos and Mannie. Family friendly with small game and ostrich for children to ogle, and they host a farmer's market, Cassia restaurant and Nitida cafe. In tribute to the full, fruity character of their wine and themselves, they attribute Nitida's presence to the eleventh family member, "Pufford, a semi-derelict 3-cylinder, 30 kilowatt 1971 Ford tractor." Boasting a beautiful view of Table Mountain from the Winehouse hilltop restaurant, Bloemendal Estate (Durbanville Road) also has a budget friendly tasting room that offers light meals around a fairytale pond; a place to play boules or listen to the Blues. Bloemendal hosts events like the Harvest Festival, the Blanc and Blues Festival, concerts and more. D'Aria Winery’s Poplars restaurant (Durbanville Road) is popular with global cuisine lovers; the Winery has a function venue with a 200 capacity for exhibitions and corporate functions. Four star accommodations go well with its Sauvignon Blanc, merlot and merlot Cab blend. The winery is child friendly with nice playgrounds and is open Sundays (10: 00 – 14:00). If things get restless, take the tots and teens to the Tygerberg Nature Reserve while you're in the area. Take a trip through time to an Estate with an 'almost tangible history'. The Altydgedacht Estate (Tygerbergvallei Road) boasts a 300-year old cellar and original bell. Property of the Parker family since 1852, it practises trusted traditions and modern methods to produce wines with personality and depth. For a rustic experience, enjoy an outdoor picnic. Terroir is synergy of soil content, topography and climate; Diemersdal Estate (Koeberg Road) has a natural advantage, with 6th generation winemakers producing six different Sauvignon Blancs (if you include the unusual rosé) in their vineyards. Old meets new with traditional open fermenters, a state-of-the-art winery and openness to innovation and experimentation. Celebrating people and good living, Meerendal Estate (Vissershok Road) offers a Sunday buffet distinguished lunch or dinner at The Manor House and an all-purpose renovated building acting as an ideal inside/outside function space, The Barn & Lawn, popular with brides for its quaint, wooden, candle-lit chapel. 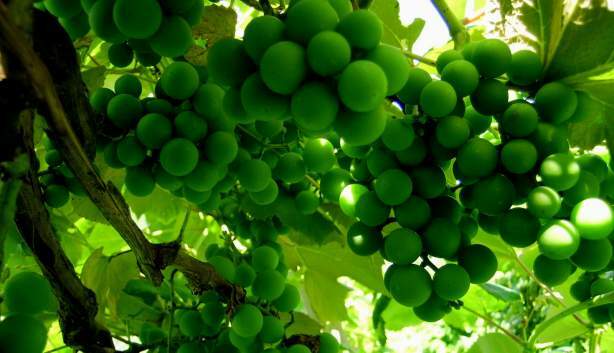 Its wines include the niche Prestige Range and an everyday Standard range with seven cultivars. the folllowing wine estates in the Durbanville Wine Valley are open for tastings on a Sunday: Bloemendal Estate, De Grendel Estate, D'Aria winery, Durbanville Hills Winery, Hillcrest Estate, Meerendal wine estate, Nitida Cellars. Kids friendly wine estates in these winelands are D'Aria winery, Durbanville Hills Winery, Nitida Cellars. A decision? We recommend two ways. 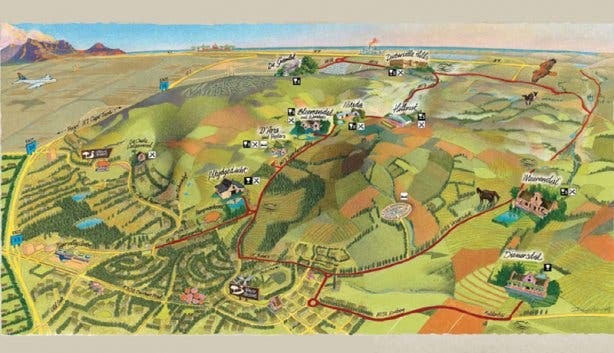 Close your eyes quickly and pick a point on the Durbanville wine valley map to start with, plot your day trip, weekend away or afternoon out with fine dining and fair views over a good glass of well behaved grape juice to whet your appetite for adventure. Experience Hillcrest Estate is more ways than one at the Taste of Hillcrest Festival. Party like a Russian at this festival dedicated to vodka. That's not all. For great information on events, unique tastings, quick updates and special wine related events, join our newsletter, Facebook fan page and follow us on Twitter.